The child care field is known for having a high turnover rate. In fact, research has indicated that the high turnover is due to low wages and many other work place issues that I don’t want to waste your time covering in the blog post. However, I do want to share with you that I have found that wages is not the only reason that employees leave. Today I want to share with you 6 easy ways to reduce your turnover rate and strategies that will empower you to create a great place to work. Grow as a Leader. When you grow as a Leaders, you change the way that you lead your team. In fact, you will improve your leadership skills. Increase What you do for your team. Every year I evaluate what I’m already offering my team and I increase what I do for my team. (If you think that doing more will cost you; it will cost you to keep losing good employees. For example: If you already buy your team lunch once a month; now it may be time to buy lunch twice a month. I think you get the point. Coach Your Team. Investing in your team is one of the greatest gifts that you can give to your staff. Look at it this way: when you coach your staff, they feel that you value them and that they are worth your time. Be a coach, not a Boss! Offer incentives. Your employees work for you because they love what they do and they also want to get paid for a job well done. However, it is always a nice bonus to work for a boss that offers incentives. Incentive ideas: Perfect attendance, enrollment referral incentives, job referrals, special gifts for a job well done, etc. Incentives are a great way to motivate your employees! Build a Culture of Family. I treat my employees like they are my family. I care about what goes on in their lives and offer my assistance when they face difficult times. I celebrate their birthdays and celebrate special events in their lives. Moreover, I believe that creating a Family like culture will cause your employees to be loyal to your business. When you show your employees that you care, they will be loyal to your Business! Make people your first priority! I have implemented all five of the strategies above in my Child Care Business and it works! In fact, I have recently heard employees tell me that they want to retire from Learning Days and their feedback inspired me to offer a Retirement plan in 2017! 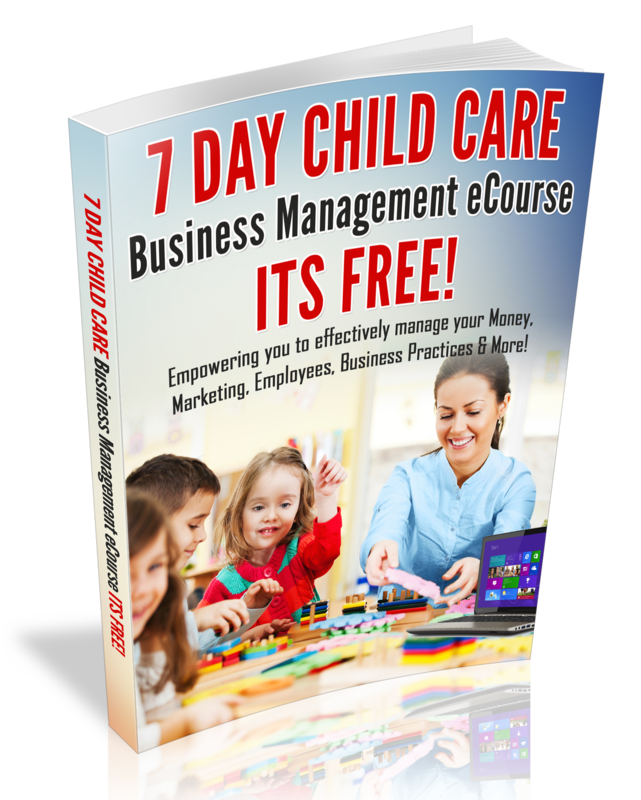 Be sure to subscribe to my 7-day Child Care Business Management ecourse.